The days of auto-filling your personal information in exchange for “free” access, content and offers are limited. People generally don’t think twice about providing personal information in exchange for what they want quickly, but that is beginning to change as cases of personal data being misused and even breaches on major platforms increase (see Facebook). The issue of regulations around Personally Identifiable Information (PII) is coming to a head. Self Sovereign Identity (SSI), the concept that people and businesses can store their own identity data on their own devices and provide it efficiently to those who need to validate it, without relying on a central repository of identity data, and what that should mean is paramount in the digital age. The idea of owning your own data and consenting to its use may have seemed impossible just a few years ago. However, European courts gave someone the right to be forgotten and scrubbed from Google search results in 2014 and Google says it has received more than 650,000 requests to remove certain websites from its search results since. Identity and Access Management (IAM) is moving toward fewer instances of storing personal data and more toward scenarios where information is requested as needed to process services. 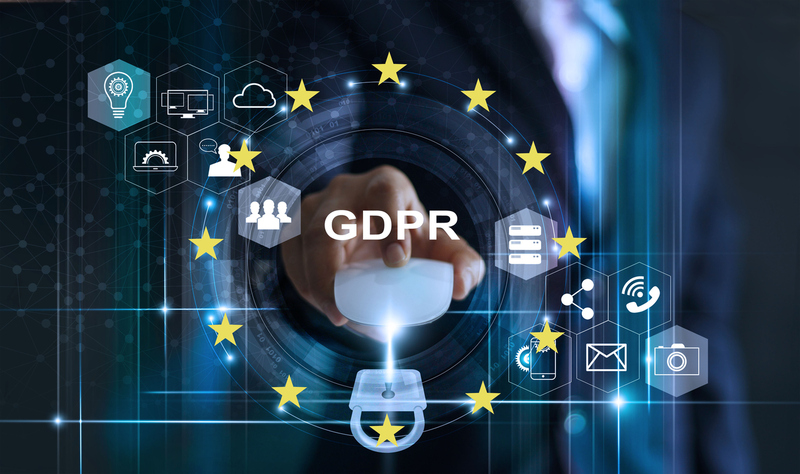 Due to GDPR and other similar laws going into effect, more and more digital interactions will rely on individuals giving consent for their data to be used. This practicality has birthed the concept of Self Sovereign Identity (SSI) where a person holds and controls all of their own data, including biometrics. This concept could, and has already in some countries , give way to passport-less travel, where an individual’s biometrics will be used to access all the information needed for border control. Biometrics is not just a novel way to unlock your iPhone anymore. Expect to see more mainstream adaptations of biometric authentication as leaders in IT fear digital threats will continue to increase. Access control, in particular, is moving from access cards to biometrics with gait recognition being the technology that is gaining popularity for high-security areas. The future of using cryptocurrency such as bitcoin for everyday transactions remains to be seen. However, companies like Mastercard are utilizing blockchain technology to reduce fraud and credit card skimming. Mastercard plans to roll out its investment into blockchain technology – the company is the largest holder of blockchain-related patents in the world. In addition to the finance industry investing in blockchain, healthcare is another industry that is highly concerned with secure yet more streamlined documentation. Ideally, healthcare records would be complete and travel with the patient regardless of doctor or insurance changes. This is still a working concept as the records are stored in many different systems, which have resulted in many recent high-profile data breaches. Currently, Artificial Intelligence is powering identity solutions by learning from millions of transactions and documents to spot anomalies. This is a powerful tool to help combat fraud. Industry leaders envision a future where AI can monitor computer sessions to identify if a real person is conducting a transaction or if a session is abnormal or the result of a breach. Rather than checking against credentials, AI could use a combination of biometrics and user behavior to figure out whether that person poses a risk to security. AI learning the identity of users and their habits dynamically is still a future technology but is one that shows a lot of promise. Investments in building identity solutions for your business need to include both proven experience as well as groundbreaking innovations. Acuant is proud to be one of the four providers of Identity Proofing Solutions named IDC Innovators, offering the combination of physical document and biometric authentication through human assisted machine learning.